This is a partner to the fall pastel golf picture, a good lesson to try a similar subject with different mediums. 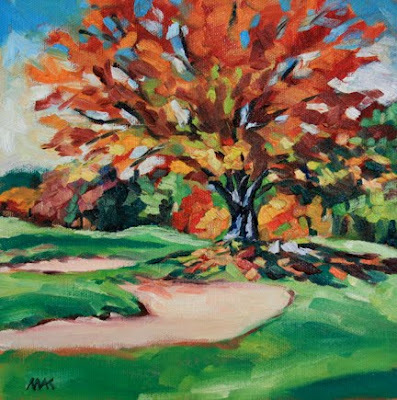 These golf course pieces in oil and pastels are beautiful, as is your new avatar! Nice colors and brushwork in this one.